JCE Editor Pro v2.7.11 - new release of one of the most powerful and multipurpose visual editors for Joomla 3.x. 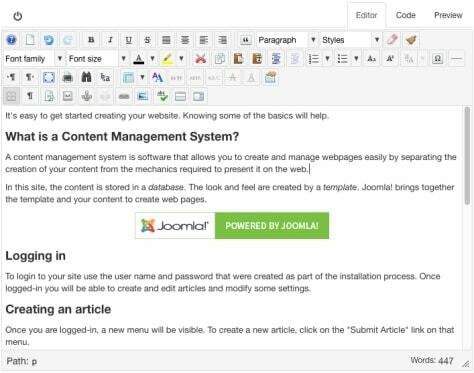 This component and a set of the additional Joomla expansions allows to create and edit materials directly. The functionality is much broader than in the standard editor. There are convenient the tool for work with images, an editing and creation of tables, creation of miniatures, creation of modal windows, to add any media content (audio and video), spelling, editing a code and many other things. The new version fixes several issues. FILEman v3.2.4 - one of the best components for management of your media and files. Easily do attractive galleries of images, do an insert of files in articles and offer private or public loadings. Possibilities of the Joomla 3 extensions. Automatic size variation of images in load time (which you can define), existence of the built-in audio and video of a player with support of stream transfer, the loader with the built-in area of drag and drop, a simple insert of files in articles, support of the international names of folders and files, the generator of miniatures and other useful functions. 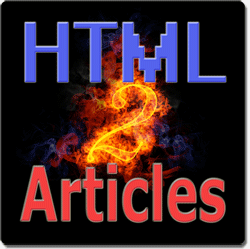 HTML of 2 Articles - the convenient tool for fast import of normal html of content to Joomla. You can easily and quickly create articles Joomla from any HTML of the file. For processing of each material there are no more than 20 seconds. Import of the text of images with conversion to UTF-8 encoding becomes. Also there is an opportunity to put a large number of files in queue. Features of this Joomla extension: fast import of the HTML files, check of W3C, automatic transfer of documents and images, support of the majority of codings, automatic creation of meta data and headings. JCE Pro v2.6.35 - the new version of the advanced and often used Joomla expansion intended for convenient editing and a design of content. Features of the paid version of a component: presence of the expanded manager of images (possibility of creation of pop-up windows, insert of several images, creation of miniatures and adding of srcset attribute), convenient work with a multimedia content (HTML 5, Adobe® Flash®, Youtube and Vimeo), creation of links to images and documents, insert of templates, work with iframes and a lot of things other useful functions. JCE Editor Pro v2.6.32 - new release of one of the most powerful and multipurpose visual editors for Joomla 3.x. This component and a set of the additional Joomla expansions allows to create and edit materials directly. The functionality is much broader than in the standard editor. There are convenient the tool for work with images, an editing and creation of tables, creation of miniatures, creation of modal windows, to add any media content (audio and video), spelling, editing a code and many other things. Latest version of one of the most popular and convenient visual editors of JCE Pro Content Editor v2.6.26. The component and a set of plug-ins allow to edit and make out the materials Joomla easily. е becomes without the need for a deep study of programming languages and a marking. Using the convenient visual environment you can edit HTML structure, create the CSS of the rule and many other things. From features it is possible to emphasize simple operation with media content, links, a direct insertion of content about Word, spelling and operation with tables.